Two or three times each week, behind locked doors in a room in a building in Race Course Road, a family tradition going back decades is carried out, away from prying eyes. The result is a spice blend that goes into one of Singapore's most iconic dishes, fishhead curry, sold at the restaurant that is synonymous with the dish, Muthu's Curry. On mixing days, the chain's chief executive and director of operations step out from behind their office desks, five storeys above the restaurant. The two sons of the restaurant's founder roll up their sleeves, digging into the bags of fennel, turmeric and chilli powder, weighing, measuring, blending. Exactly what kind of spices, how much of each and how they are prepared - only they know. "People have tried to copy our dish. But I won't say they have succeeded," says chief executive Kasivishvanaath A., 44. The chain's head, called Kasi by friends, says it is not a boast. In his typically understated, almost hesitant way, he tells Life that rivals have poached their chefs and even taken the restaurant's name for use in Jakarta and elsewhere. But without the magic mix, passed down from their father, these rivals have faded away. The origins of the fishhead curry are uncertain. Some say the dish has been enjoyed in South India a long time, others say the Nonyas in this region came up with the recipe. Mr Kasivishvanaath is aware that when his father, Mr Ayyakkannu S., began selling it in his first operation, a coffee-shop stall in Klang Road opened in 1969, a few other restaurants were already known for it. Family-run restaurants that have lasted for decades have come and gone. That Muthu's Curry is still here, 46 years on, owes as much to family ties as it does to recipes. The family cooking tradition can be traced to Mr Kasivishvanaath's grandfather, who came to Singapore to cook for employees of the provisions dealer Selvi Stores in the period after World War II. He brought his son, Mr Ayyakkannu, here at age 11. The boy delivered goods by bicycle, washed cars at dawn and helped his father in the Selvi Stores kitchen. There were Chinese, Nonya and Goan versions of fishhead curry around when Mr Ayyakkannu opened his stall, but his innovation was to give it a South Indian twist typical of his home region in Chettinad, Tamil Nadu. That recipe proved a hit. Mr Ayyakkannu had a foothold in the food business. While keeping the Klang Road stall open, Mr Ayyakkannu launched a proper restaurant in 1974 at 78 Race Course Road, not far from where the flagship sits today. That was expanded in 1982 when he took over the neighbouring unit. "With air-conditioning. That was the in-thing. The name card said, 'Fully air-conditioned'," notes Mr Kasivishvanaath with a smile. The name Muthu means pearl in Tamil and it was a term of praise a customer gave the fishhead curry after eating at the then-unnamed Klang Road stall. 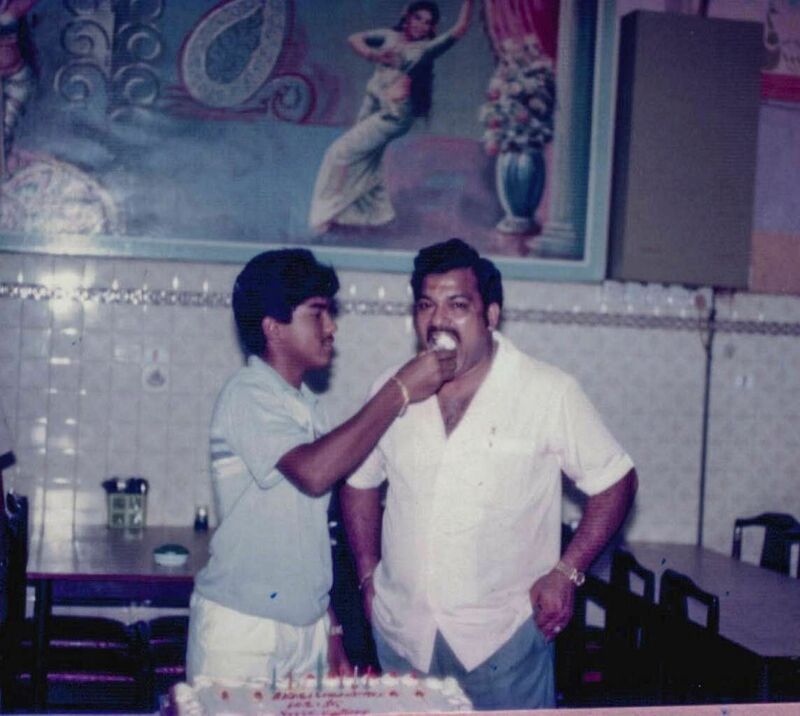 The first Race Course Road dining spot was thus called Muthu's Makan Shop before it became Muthu's Curry in 1982. Customers assumed Mr Ayyakkannu was Muthu and called him by that name, which was fine by him, says his son. Like his father before him, Mr Ayyakkannu had plans for his India-born son. One day, the question came. "My father asked me, 'Do you want to study here?' and I said, 'Yes'." So at age 12, the boy started at Beatty Primary School on a student pass. Almost immediately, his father steeped him in the restaurant business. They lived on the third floor above the restaurant. "After school in the morning, I'd have lunch in the shop, change at home, then I'd run the shop from 3 to 7pm. I'd be the cashier. My father's day started at 5am, buying provisions at Tekka Market, bringing them back on his tricycle and then starting to cook," he says. On weekends and school holidays, part of his daily routine included cleaning fishheads. "My father wanted me to learn what the workers were doing. So I'd be descaling the heads, taking out the gills, washing," he says. Younger brother Srinivasan A., 36, has also cleaned his share of fishheads, as well as squeezed limes and wiped tables. The director of operations oversees training and other procedural matters and was part of the revamp that made the flagship in 138 Race Course Road a more upscale, IT-driven eatery, with a central kitchen that supports two other outlets in Suntec City and Dempsey Road. 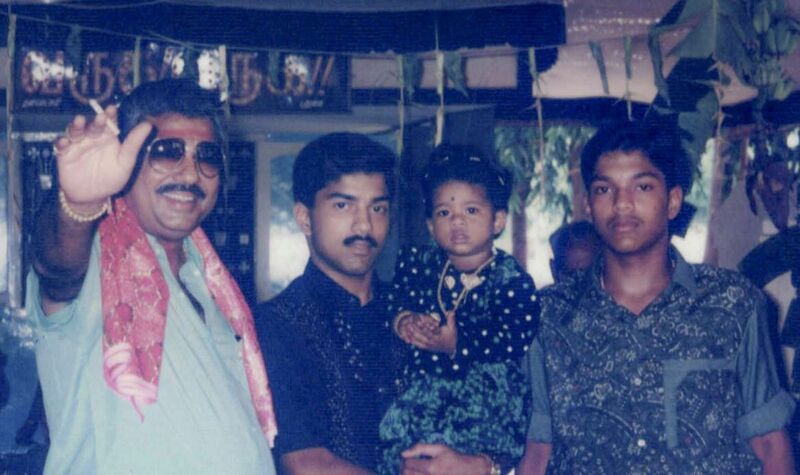 He is the youngest of Mr Ayyakkannu's children. Mr Srinivasan has three sisters, all of whom are married and living with their families in India. Besides training in the family business, both sons became citizens and served national service. Both weathered the bad times, the biggest being their father's death from a heart attack in 1995 at age 50, shortly after handing the business to his newly married eldest son. That was followed by more woes. The construction of the Northeast Line, starting in 1996, closed off Race Course Road. Regulars were either put off by the lack of parking or assumed the restaurant was closed; there were days when every seat was empty. The team had just expanded by opening an events hall at 72 Race Course Road. The timing could not have been worse. "The next five years were tough. Business dropped 70 per cent," Mr Kasivishvanaath says, his voice going quiet. He talks about that period of turmoil with a mixture of pain and gratitude. His staff stayed on, even when he had to defer salaries for months. He was not about to give up what his father had founded without a fight. "This was started by my father from nothing. He trusted me, at that young age, to take over," he says. Ms Veshali Visvanaath, 37, director of marketing and Mr Kasivishvanaath's wife, says that the team slogged on at a time when they could not have needed their father's guidance more. She looked on as a new wife and outsider as the struggle to keep afloat took its emotional toll on the sons. "I think if not for these sons, anyone else would have given up the business. They persevered," she says. There was a lifeline in the form of a stall at the China Square food court. Opened in 1999, it provided just enough income to keep things ticking until the MRT line opened in 2002. When it did, business came roaring back, so much so that it was time to expand again - this time to their current 300-seat flagship premises at 138 Race Course Road, featuring an expanded menu that includes North Indian food. Mr Gucharan Singh, 56, owns Jaggi's Northern Indian Cuisine at 34/36 Race Course Road and has known the brothers since the mid-1990s when he moved his restaurant into the area. He describes them as "very humble people" who have helped him with modernisation, such as moving staff salaries to inter-bank Giro. The brothers are so tight as a team, says Mr Singh, they become, as the Malay saying goes, "like finger and nail". Their bond gives them an advantage in business management, he thinks. The brothers have their own families. Mr Kasivishvanaath has three children, all in their teens, while Mr Srinivasan has two, aged six and seven. His wife, Malarvizhi S., 30, is a human resources executive in the Muthu's company. Their families get together for festivals and children's birthdays. As for whether a third generation will take over the business, that decision is the children's to make, they say. Ms Veshali says that Mr Kasivishvanaath's two older teens worked part-time in the restaurant last year, but that was to build character, rather than succession training. As far as the brothers have come from their father's restaurant, his presence looms large in their thoughts. Mr Kasivishvanaath brings up Mr Ayyakkannu again when he lists what has been done to make Muthu's Curry a brand for the 21st century. "It's just too bad that he isn't here to see all this," he says. The heir to the business sees his younger brother almost as an extension of himself. "He's another me," he says. "I can trust him. If it was anyone else, I'd have to check on it constantly. There's a comfort level." The younger man has his own responsibilities, but all the same, everything is on the table during their daily discussions, he says. Mr Kasivishvanaath A. agrees with the generally held opinion that he has stepped into his father's shoes, both as a manager and in the dominant personality, but he says he tries to temper that as much as he can in his dealings with his brother and employees. For now though, he thinks his younger brother is seen as the more approachable person. "The employees go to him first, then to me," he says. The relationship might be one of mentor and pupil now, he says, but it will evolve. The older brother says that in the last two years he has been handing the reins over to Mr Srinivasan A., giving him leeway in decision-making at a higher level. "He has been put in the front line, to speak in front of people, facing issues. If he needs help, I can guide him. If he can solve it himself, very good," he says. The younger man considers his older brother, Mr Kasivishvanaath A., "a father figure". That responsibility was thrust upon the older son after their father's death in 1995, just after Mr Srinivasan A. had completed his O levels. "I look up to him. He's always there for me, for moral support and psychologically," he says of his older brother. That means getting tough when he sees something not being done right. "He can raise his voice," says Mr Srinivasan. "For operational issues, I have to give him a valid and accurate picture. If I make a decision, I must give him a valid reason. If he says no, he gives me a good reason. It's based on his experience, that this might or that might happen if you do that," he says. A degree in economics from Madras University has armed Mr Srinivasan with a more theoretical bent and that comes in useful for planning. Kitchen centralisation was propelled partly by what he had learnt in school about the experiences of corporations such as Toyota, he says. "My brother is very open to ideas like that."